A young lady who was abandoned on her wedding day by her partner of 10-years, has publicly cried out for help as she's stuck with unpaid bills. 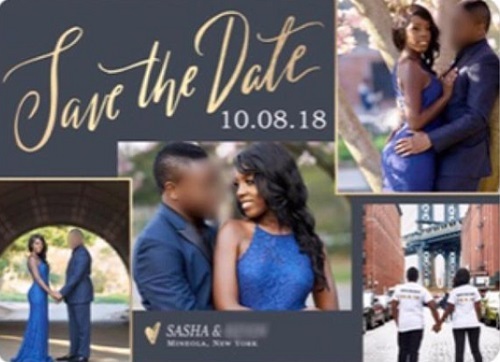 A US-based lady identified simply as Sasha, has been left with huge unpaid bills after her partner of 10-years who they both planned their dream wedding in Greece, dumped her on the same day of their wedding. 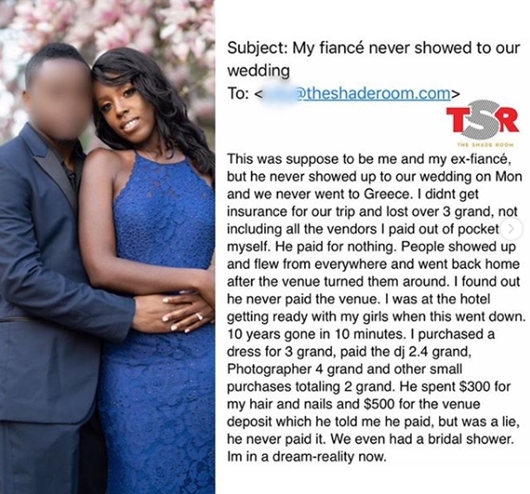 According to an e-mail sent to popular Instagram page @TheShadeRoom, the lady said her 10 years relationship with her now ex-partner ended in just 10 minutes. Narrating further, she said that even during the planning of their wedding, she was the one spending for almost everything, although she wasn't unfazed about it. She added that on their wedding day, her man failed to show up, leaving her in debt and heartbroken.